register for an account and try the service for free for 30 days. Launched 1 September 2016, our new app is the worlds first providing the approved ADMIRALTY paper chart corrections, including tracings, notice and correction blocks, via an electronic tablet. Developed by mariners for mariners, we reviewed the many other chart correction software on the market and determined most are swamped with features which the average mariner simply doesn't want or need. Their overcomplicated menu structures and inability to easily find the relevant information mean the person designated maintenance of the chart ouftit can waste much time when all they want to do is download the corrections for the forthcoming passage, apply them and execute the passage plan. 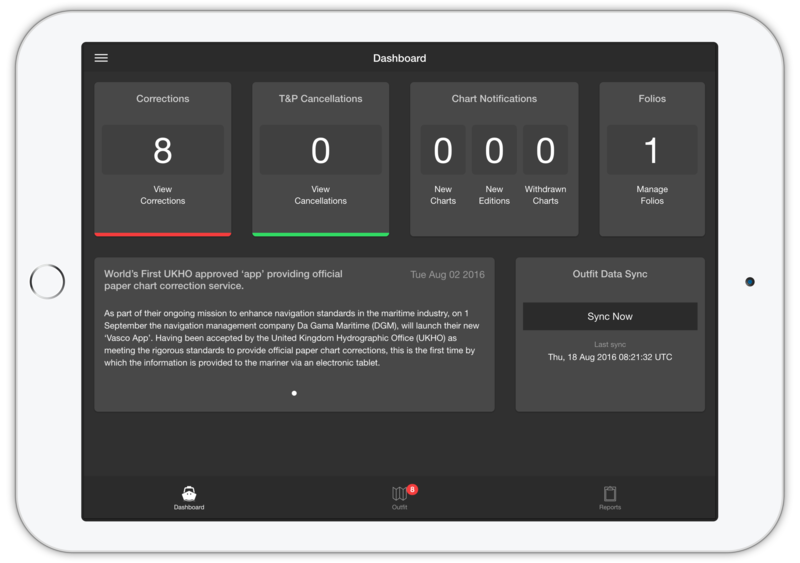 Our app has been designed specificially to make it as easy and intuative as possible for the mariner so they spend more time looking out of the winder when on watch or able to catch up with sleep when off. 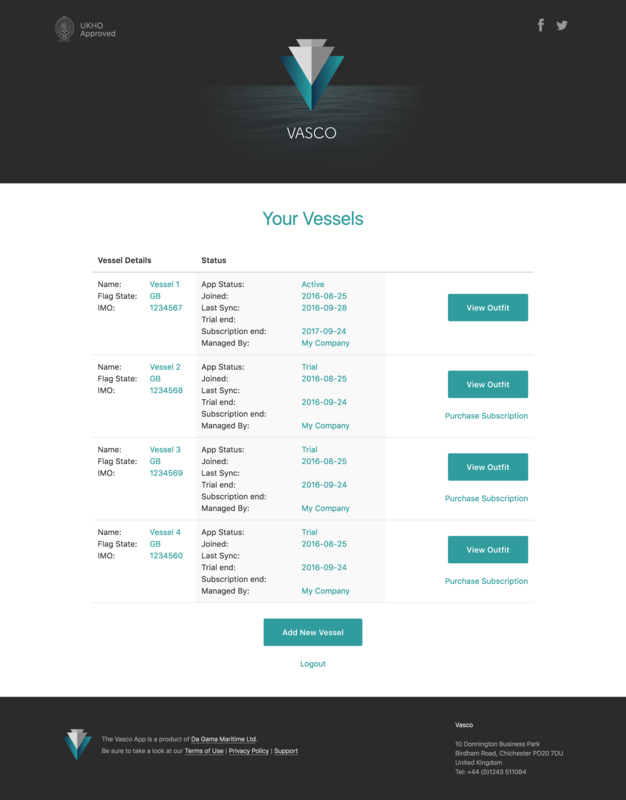 As an additional advantage, we've developed the app with the added convenience which allows management companies to log in remotedly via the website to the outfit of each of their vessels to determine its status. This useful feature not only allows the superintendent to keep an eye on the chart status but also prepare for any forthcoming audit.